This semester in my graduate studies I have been focusing on diversity in the early childhood classroom. 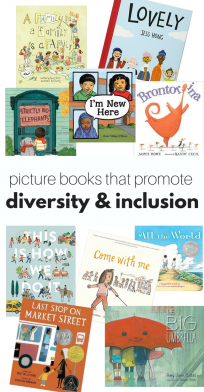 That, coupled with the political climate in the United States where I live, raise my children and teach has solidified my commitment to creating inclusive and diverse environments for my own children as well as my students. 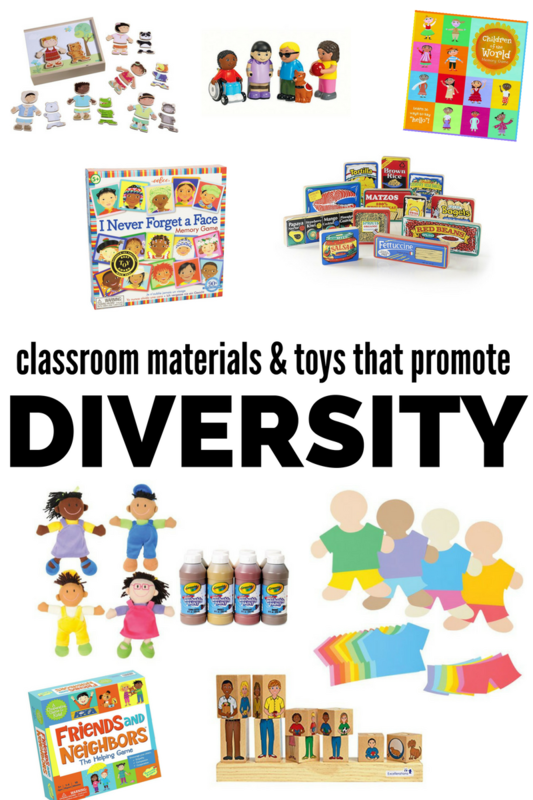 These multicultural classroom materials and diverse toys are ones that I have or had in my class, or on my wishlist. No class or school can be expected to make big or costly changes immediately, but these materials can be bought over time to help any school reach that goal. When our children understand and appreciate the differences that surround them, they will respect those differences more easily and not use them to divide. My goal as a parent and as an educator is to teach my children and students to be proud of who they are, where they are from, their culture and family and to respect that everyone should be given that same opportunity. 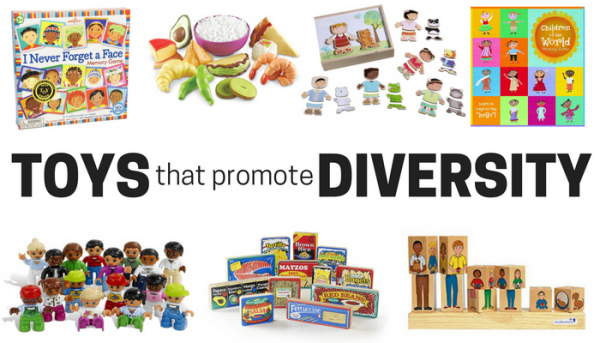 With that goal in mind, these are materials and diverse toys that help make diversity the norm, to bring multiculturalism into a homogenous classroom or to reflect the students, their families, and their experiences in a more diverse one. This list includes affiliate links. These toys allow adults to discuss differences and similarities naturally as children notice them while playing, as questions arise, or not at all. The goal is not to turn playtime into lectures, quite the opposite, it is to provide a wonderfully diverse set of options and to spark curiosity and viewing and accepting diversity as normative. 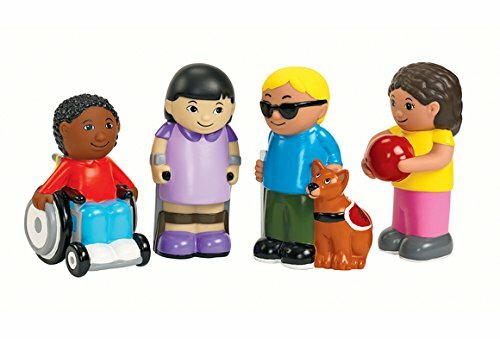 Soft Inclusive Dolls – these dolls include a child who uses a wheelchair, a child who is visually impaired and uses a seeing eye dog, a child with a prosthetic arm, and a child with leg braces and crutches. 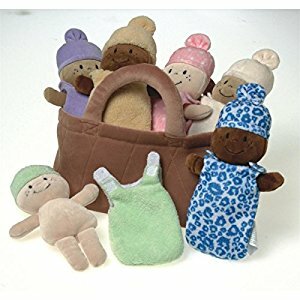 Basket of Babies – I love these little soft dolls so much I bought some for my daughter when she was a young toddler. They are perfect for a young class where children like to travel around the room with a baby because they are soft and there are so many in one basket! Also, the basket is great for grocery store pretend play. 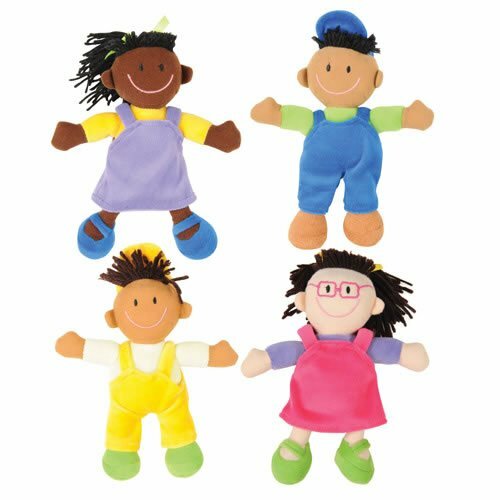 Set of 4 Multi-Ethnic Dolls – What I like about this set is that there are boy and girl dolls. As preschoolers explore their own identity, it is common for them to become very focused on all things related to one specific gender. Having the boy dolls can help encourage some of the most reluctant boys to explore doll play, though I caution never to force, just provide materials if needed. Doll play is a wonderful tool for exploring compassion, responsibility and caring for others. 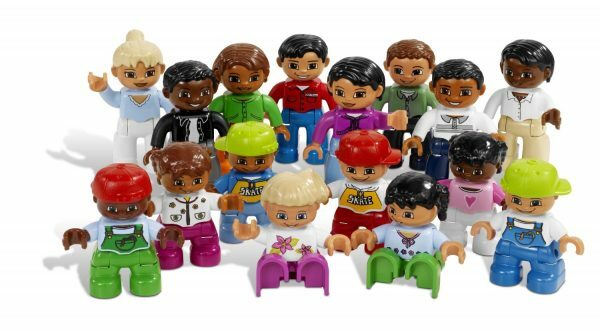 Multicultural Duplo People – I wish there was a way to get this set for a low cost. The thing is, is that this set will last and have no trouble standing up to daily play by years and years of students. Duplo is not a fad, so you know you will be able to use these figurines in your block center for ages. Diverse Memory Games, Puzzles, & Mix and Match. 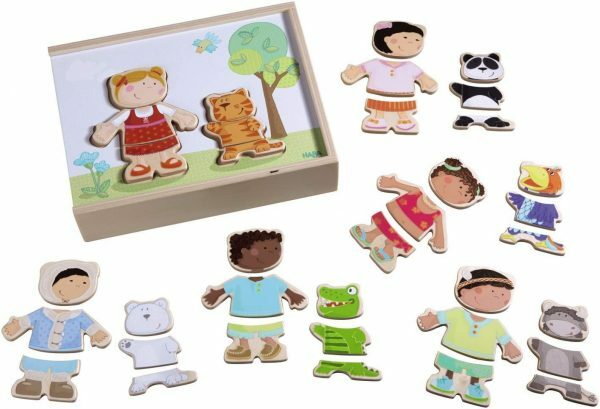 Haba Children of The World Mix & Match puzzles like this are always popular with preschoolers, and they don’t just promote diversity, they promote fine motor skills too! 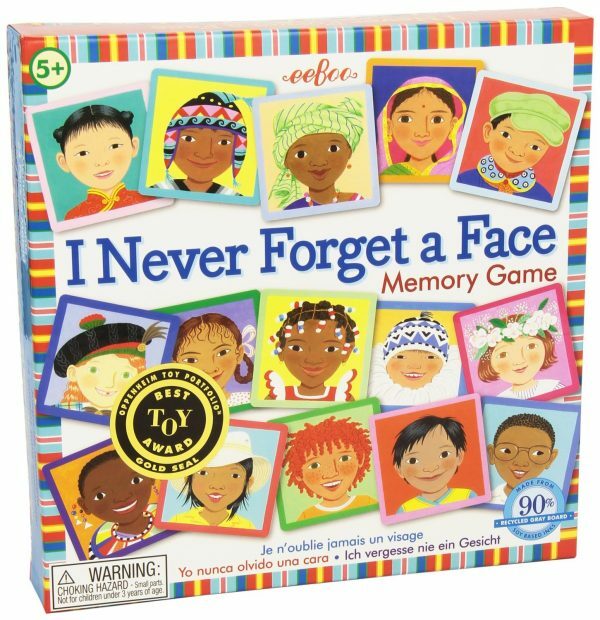 Never Forget A Face was a favorite in a toddler classroom of mine many years ago. The game is fun and works on memory skills as well. 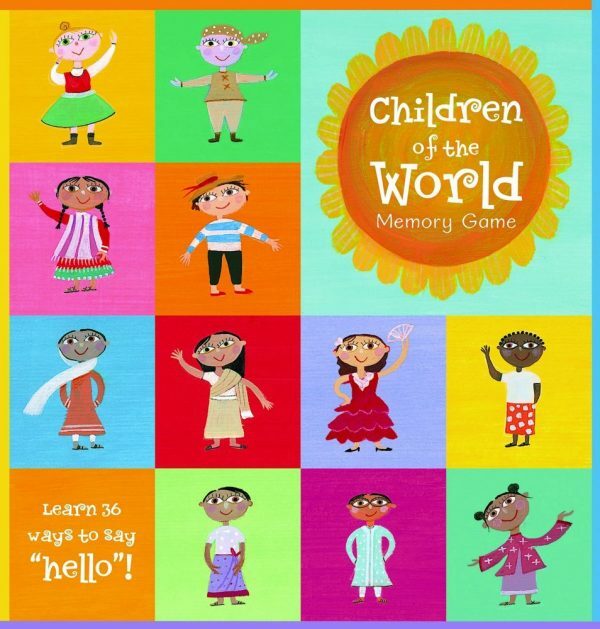 Children Of The World Memory is great not just because of the visible diversity, but because diversity isn’t just what we see, it’s also what we hear. This game incorporates language diversity as well. 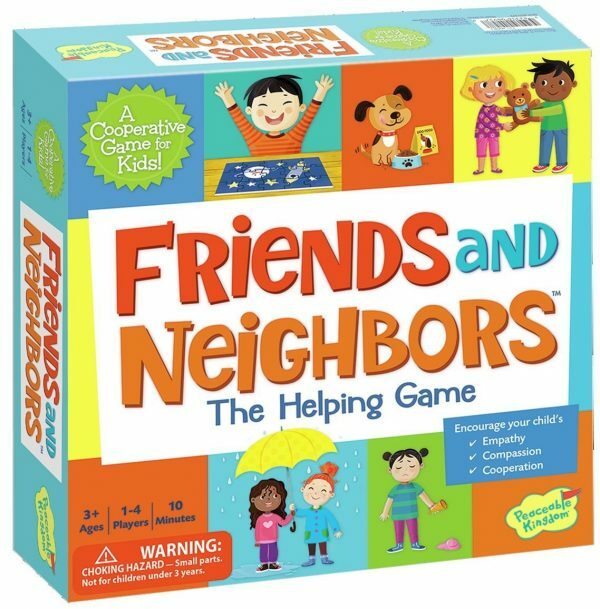 Friends And Neighbors – This game isn’t about diversity, it’s a matching game about emotions, but the game itself promotes cooperation which is essential for inclusion. 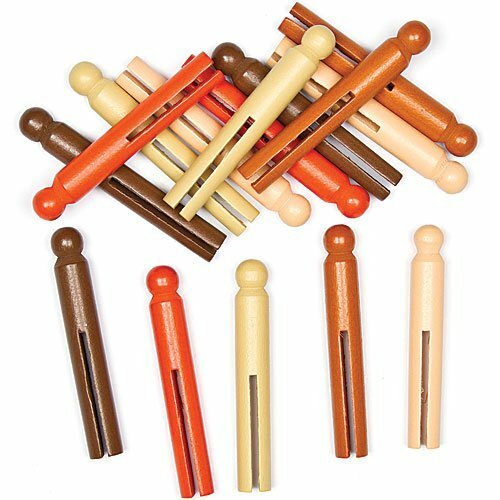 Multicultural Skin Toned Craft Pegs – These are perfect if you are going to make people with the pegs, even if you only have Caucasian students I would still urge you to diversify your art supplies to help show that all the same light skin tone is not the only available skin tone. 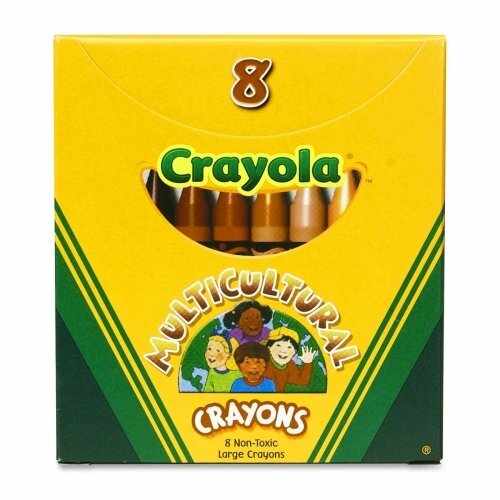 Multicultural Crayons – Self portraits and drawing your family are an important part of preschool, and that makes these crayons a must for all early childhood classrooms. 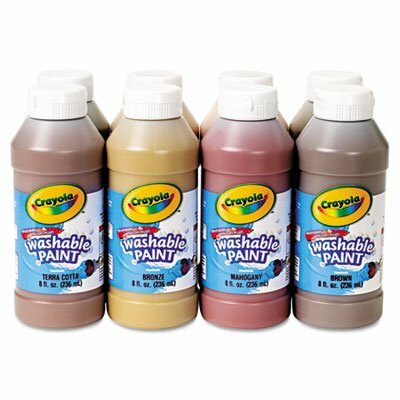 There is also multicultural paint too! 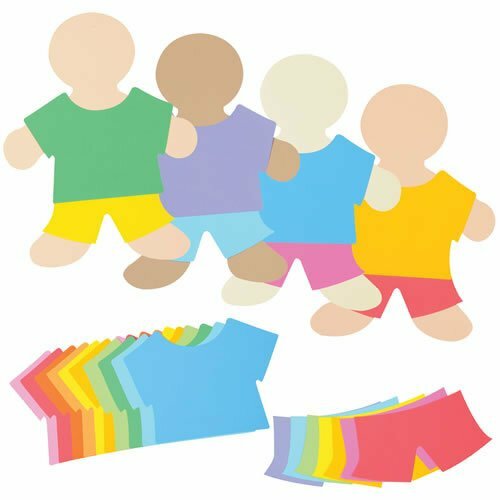 Multicultural Paper People – I use these in my classroom when we talk about first aid and my students cover them in bandaids, trust me it’s a class favorite. This is a simple way to reinforce the idea that skin color is not homogeneous. 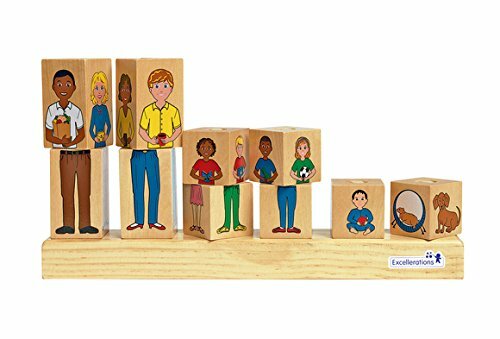 I love these Wooden Stack-A-Family blocks because children can create their own family with so many variations. 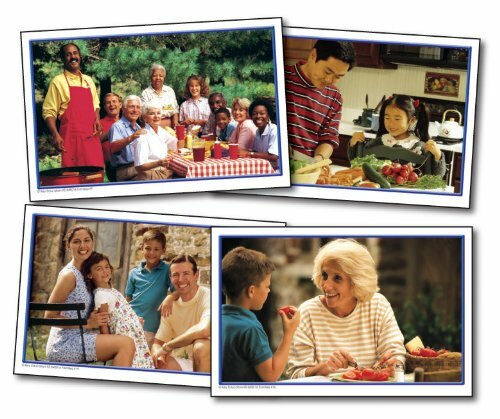 Multicultural Family Puzzles offer children a look into different types of families while promoting the development of spatial and concentration skills. 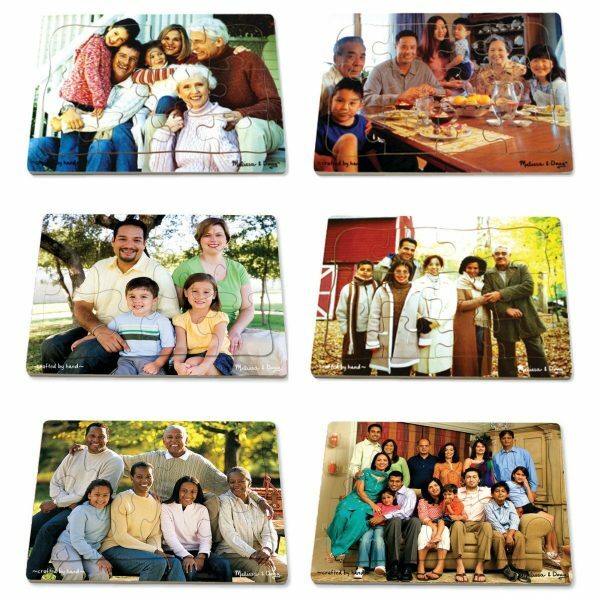 I use cards like these when I teach about families as a circle time activity we count the family members in a handful of photos and notice that families are all different. You can use these cards with counters as math mats, get two sets and make a matching game, or even as posters in a collage. These family counters are awesome, yes the people are all primary colors but there is a wonderful mix of shapes and sizes, so students can create their own families no matter how many parents, what gender, or how many siblings they may have. 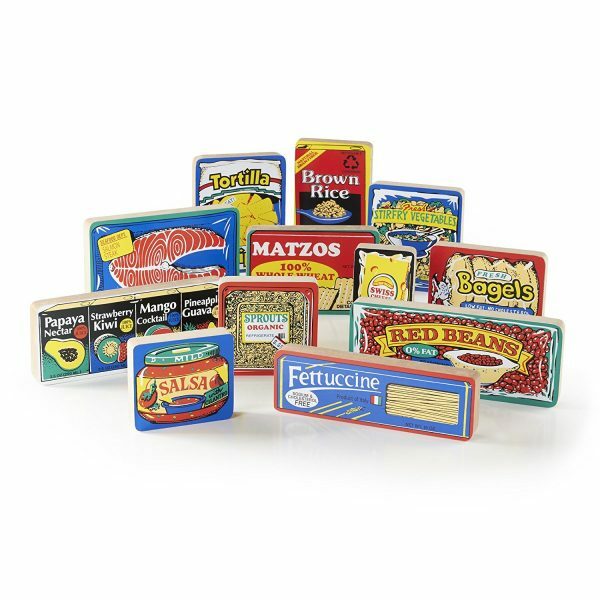 There are a lot of cuisine specific play food available, and while I think those sets are lovely, I am focusing on sets that represent multiple cultures. 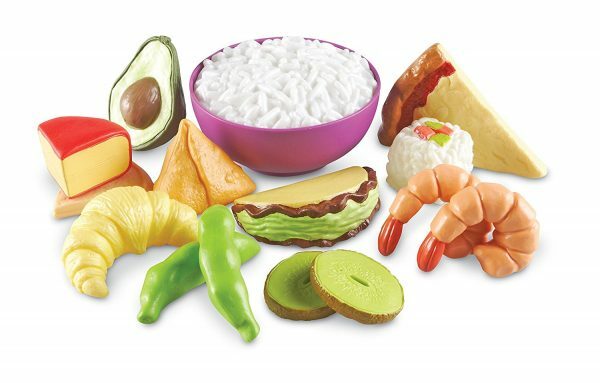 Multicultural Food set – add this set to your existing food play for a more diverse kitchen play. This International Foods set is perfect for grocery store play too. 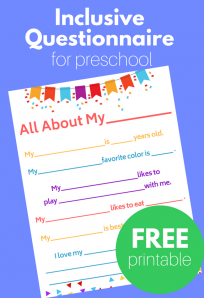 This is by no means a definitive list of diverse classroom materials or toys. 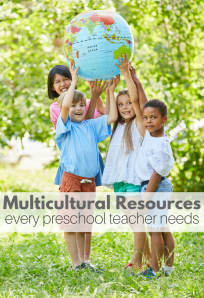 I would love to hear about how you represent multiple cultures, abilities, languages, and family structures in your classroom.